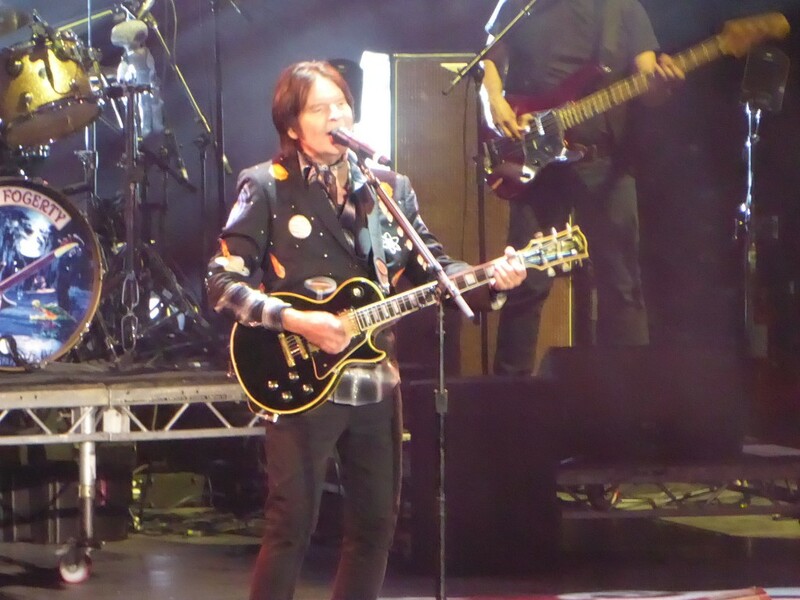 Share the post "Gig review: JOHN FOGERTY AND STEVE MILLER BAND – 02 Arena, London, 25 October 2018"
Bluesfest has become a fixture in the gig calendar with its October concerts over successive nights in the different venues in the 02 complex. 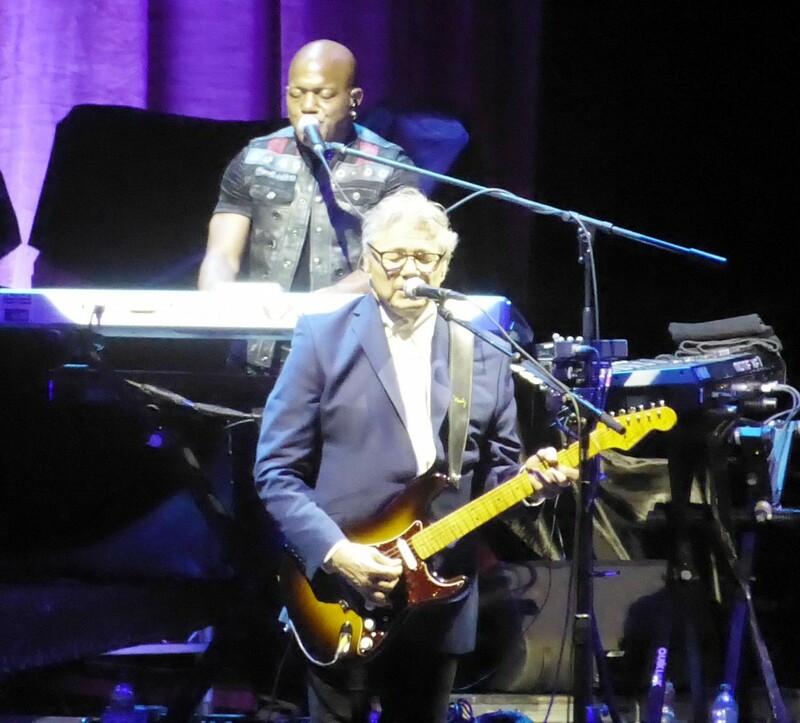 The definition of blues has been elastic to say the least- with Chic, Steely Dan and Hall and Oates all headlining last year, but no one can quibble with the quality of the acts, and some in the past such as Tom Jones and Van Morrison have played special blues sets. On the first of four nights this time- with Robert Plant, Counting Crows and Zac Brown Band the other headliners in the main 02 Arena- I caught two acts in John Fogerty and Steve Miller who are associated with classic rock more generally but certainly have greater roots in the blues than many acts to have graced the stage. As leader of Creedence Clearwater Revival, the former took the musical sounds of the south, the blues included, and created his own form of swampy rock n roll, while the latter’s roots were originally as a respected blues guitarist long before becoming an unlikely seventies hit maker. There was a third act in sultry singer Jo Harman, but her performance was announced so late in the day many of us missed her. Indeed I was still in a slow moving drinks queue for the start of the Steve Miller Band. Only two songs in, I could hear ‘Abracadabra’ from there, which was just as well as, blandly delivered and with one of the worst rhyming lyrics ever, it was a prime example of how an artist I should theoretically be in musical league with has irritated me somewhat over the years. With his silver hair, thick specs, smart suit and considered way of talking, Steve came over as being more Emeritus Professor than a rock star but his set was pleasingly varied. Entering into the spirit of the occasion, he also played a number of bluesier numbers from his earlier days, while ’Wild Mountain Honey’ featured a sitar like guitar and ‘I Want To Make The World Turn Around’ and ‘Serenade From The Stars ‘were also enjoyable. He didn’t shy away though from those mid seventies hits that still fill classic rock airwaves in Middle America, including ‘Take The Money And Run’, ‘Swingtown’ and a lengthy, almost Funky ‘Fly Like An Eagle’ with some period synthesiser noodling, while ‘Rock n Me’ got my partner up dancing, though I was playing ‘spot the riff’, another issue I have with his songs (was it Grand Funk this time?). 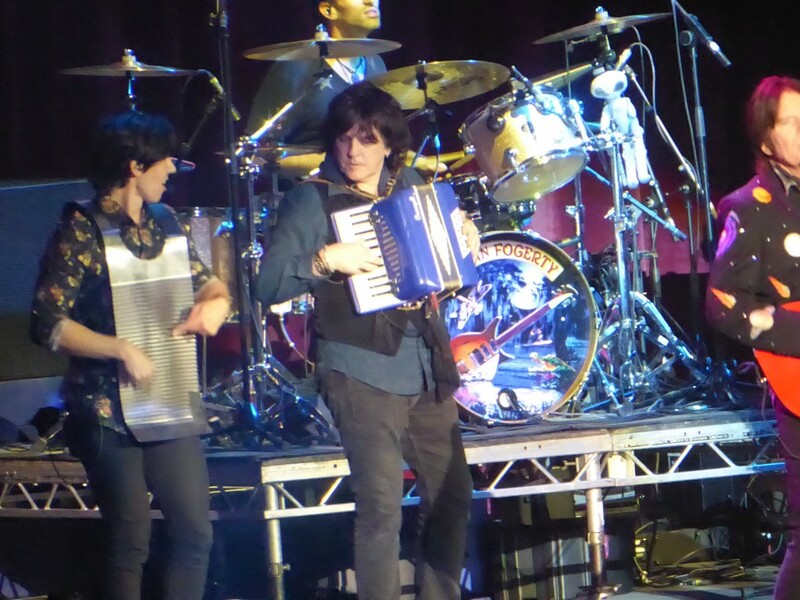 His impressive band were also unshowy but very well drilled. With the album cover one of many impressive backdrops, ‘The Joker’ got the best response to date and by the time a generous 90 minute set drew to a close with ‘Jungle Love’ and ‘Jet Airliner’, the intro riff reminding me of ‘Crossroads’, I found myself enjoying the show far more than I expected. If Steve Miller preferred a low key, studious approach there was something much more traditionally rock n roll about John Fogerty- sporting a thick jet black head of hair, he charged about the stage like a man half his age, opening in rocking fashion with ‘Travelling Band’, then after ‘Green River’ with a tasty guitar solo, a rapid fire double of ‘Hey Tonight’ and ‘Up Around The Bend’ was a reminder just how strong the CCR songbook is and left me wondering how long he could keep up this pace. However while physically vibrant (on a montage of career spanning pictures, it was hard to tell which were vintage and which were current), that arresting, gravelly voice, while still agreeable, has become a touch thinner over the years, even reminding me of Bryan Adams in places. As if to compensate he was noticeably more ‘showbiz’ than I remembered from his last visits here a decade ago. 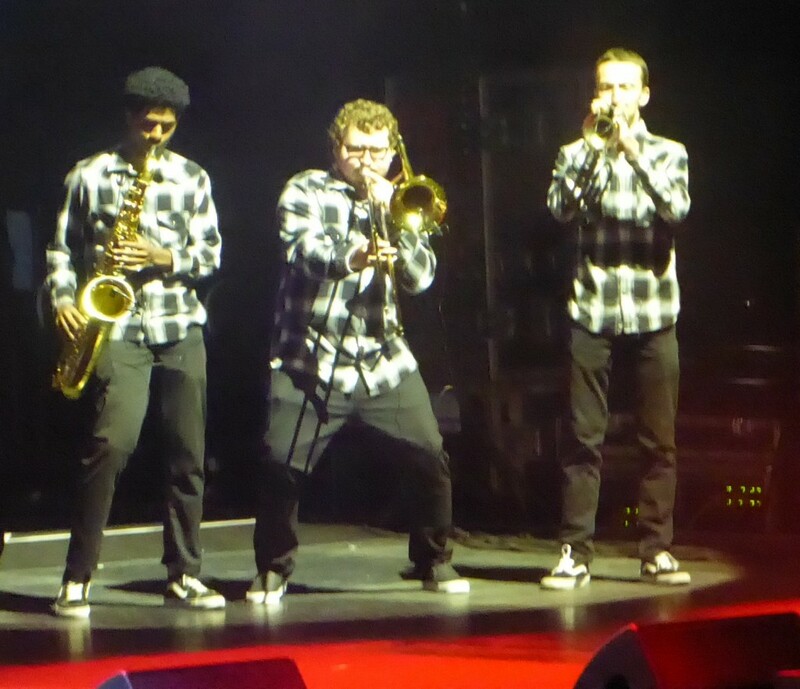 His band featured a horn section from time to time and has also become a family affair with one son Shane on guitar – his ragged, edgy playing on ‘Born On The Bayou’ being one of the set highlights – and another, Tyler, flamboyant in a red suit and mop hair coming on to add vocals to a couple of songs. Not long after I had turned to my partner and said I could feel a Woodstock reference was not far away, sure enough he showed off a guitar recently returned to him and boasted he had played it at the festival before ‘Who’ll Stop The Rain’. Among CCR classics such as ‘Looking Out My Back Door’, a rare solo effort in the catchy ‘Rock n Roll Girls’ was enlivened by his sax player pulling some classic shapes during a solo. Midway through the set he paid tribute to the sounds and culture of the south that had inspired him, and a pretend New Orleans street with neon signs based on puns on his work formed the stage backdrop to a series of covers to match, including ‘Jamabalaya’ which he has long made his own; ‘My Toot Toot’ with band members on traditional instruments like accordions and the best washboard playing since Deryck Guyler; and ‘New Orleans’, more familiar to many of my generation from Gillan’s cover. To add to the vibe, New Orleans street musicians led a march right through the arena floor to bring a touch of the Mardi Gras to North Greenwich. 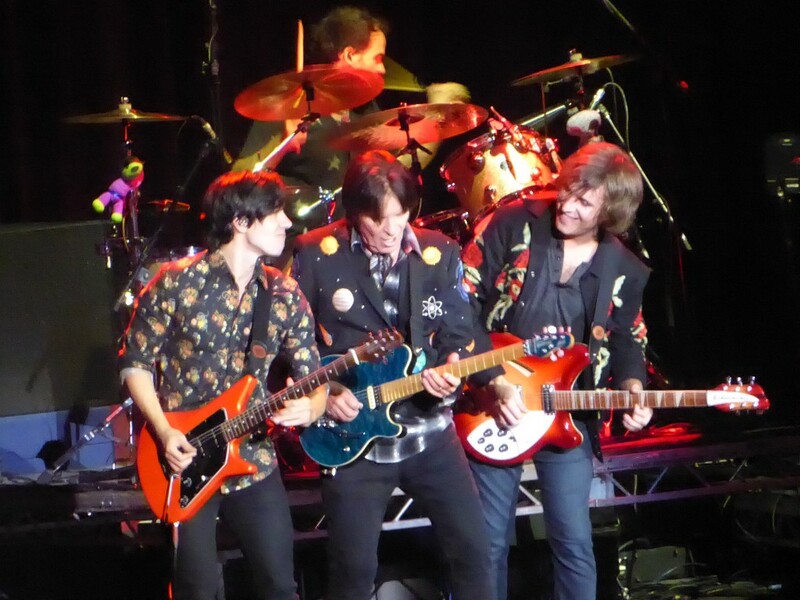 The majority of the set was Creedence classics, the likes of the heartfelt ‘Long As I Can See the Light’, ‘Have You Ever Seen The Rain’ and ‘Down On The Corner’ nestling along some longer workouts including ‘Run Through The Jungle’ and ‘Keep On Chooglin’ where all three guitarists jammed. ‘The Old Man Down the Road’ was a reminder of the time he was sued for plagiarising his own work, while ‘Fortunate Son’ rocked hard. ‘Rocking All Over The World’ was perhaps the prime example of how his greatness can be measured by the way so many of these songs ended up as hits in the hands of other artists. I had my eye on the clock and so from his on stage comment did John as the set rather rushed to a conclusion with no time for an encore, but there were two songs he daren’t leave out in ‘Bad Moon Rising’ and- with the horn section enjoying themselves- ‘Proud Mary’, with people finally getting out of their seats. As the Arena was showered in confetti it had been a suitably spectacular climax to a highly enjoyable evening all round. 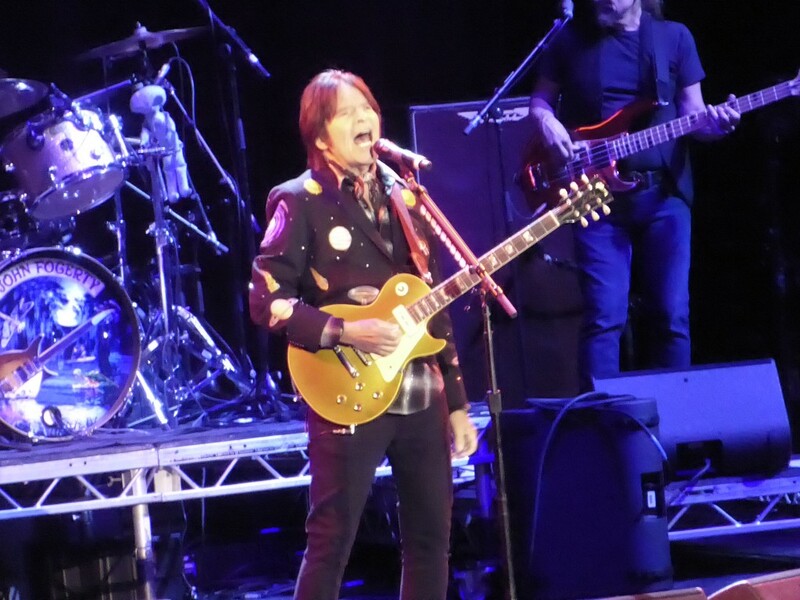 Both septuagenarians in their most contrasting of ways can still deliver the goods, but I certainly did not expect a show on that theatrical scale from Fogerty. 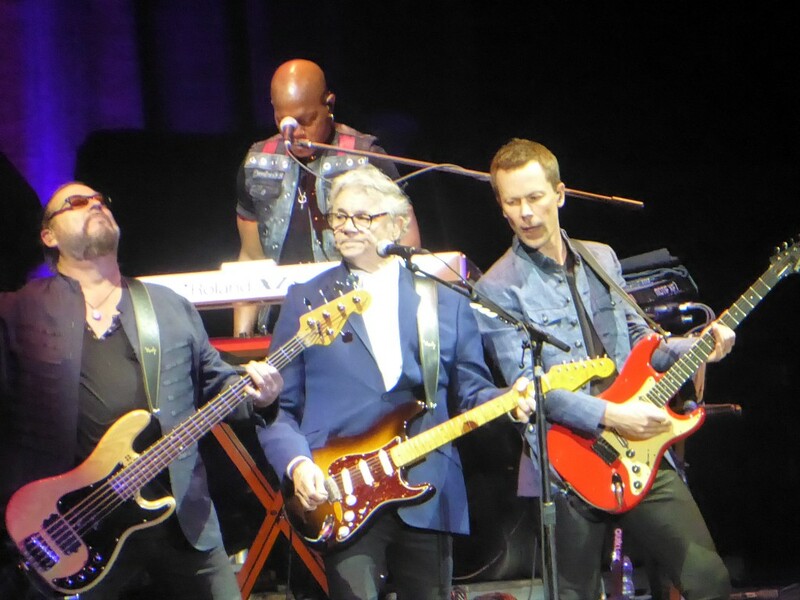 This entry was posted in All Posts, GIG REVIEWS and tagged Bluesfest, classic rock, Creedence Clearwater Revival, gig, John Fogerty, review, Steve Miller, Steve Miller Band. Bookmark the permalink.